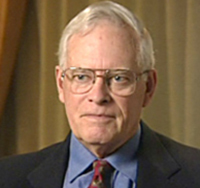 The John Tanton Network describes the anti-immigrant "empire of organizations" created by, or connected to, population-control advocate and nativist John Tanton. The Center for New Community (CNC) reports that "what appears to the public as a myriad of voices advocating for severe immigration enforcement is nothing more than a series of front groups, 'coalitions,' and spin-offs seeking to overwhelm reasonable debate on immigration." CNC also created a map of the network. The Southern Poverty Law Center (SPLC) has compiled a list of organizations within the John Tanton Network, many of which the SPLC classifies as "hate groups." In 2013, the Tanton Network groups voiced their opposition to an immigration reform framework introduced by a bipartisan group of senators in January. Organizations that comprise the Tanton Network are primarily funded by the Colcom Foundation, started by Cordelia Scaife May, a close friend of Tanton and sister of Richard Scaife of the right-wing Scaife Foundations. Colcom has donated over $17 million to NumbersUSA, nearly $15 million to the Federation for American Immigration Reform (FAIR), and more than $6 million to the Center for Immigration Studies (CIS). The Tanton-founded and -funded organizations have released numerous negative statements about the impacts of the reform bill, including the hyperbolic claim that it "has the potential to change everything that makes America a great place to be." ↑ 1.0 1.1 1.2 Southern Poverty Law Center, John Tanton's Network, Intelligence Report, Summer 2002, Issue Number 106, accessed February 2010. ↑ 3.0 3.1 3.2 Katie Lorenze,"Scaife-Funded Network Works Hard to Kill Immigration Reform," PRWatch.org, May 31, 2013. ↑ Dan Stein, "No need for speed on immigration bill", The Washington Times, May 20, 2013.